City Centre Me’aisem opened towards the end of 2015 and is situated in Dubai’s International Media Production Zone (IMPZ). 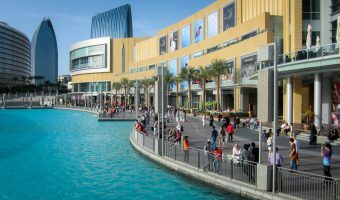 The mall is aimed at residents living in areas such as Arabian Ranches, Jumeirah Village Triangle, Jumeirah Village Circle, Dubai Sports City, Dubai Motor City, and Jumeirah Golf Estates. The mall is current home to around 60 outlets. They include a Carrefour hypermarket, a walk-in clinic, and a Magic Planet entertainment centre. Owners Majid Al Futtaim plan to expand the mall if it proves successful. The mall is situated in the IMPZ at the junction of Al Khail Road and Sheikh Mohammed Bin Zayed Road (E311). It boasts a large outdoor car park with shaded zones. There is no Metro station near City Centre Me’aisem. Map showing location of City Centre Me’aisem.